The Klingon Empire is a race of warriors, bound by an ingrained sense of honor and a thirst for glory. To die in combat is a Klingon warrior's ultimate desire. The Empire was founded 1500 years ago by Kahless. The Klingon Homeworld is known as Qo'nos, pronounced Kronos, and is located in the Alpha Quadrant. Klingons prefer hand to hand combat, and use a series of ritualistic bladed weapons to defeat their enemies. The Klingon Empire has been at war at one time with every major Alpha and Beta Quadrant power. However, with the destruction of their primary energy production facility in 2296, the Klingon people were forced to turn to the UFP for a peace settlement. Since that time, the Federation and Klingon Empire have been relatively peaceful toward one another, and, today, are close allies. The Klingon Empire is ruled by the Klingon High Council, and, at times, an Emperor. Following the defeat of the Dominion Alliance in 2376 by the combined might of the UFP, Klingon, and Romulan navies, the Klingon Empire withdrew into their borders to rebuild their devastated interstellar armada. With the new Klingon High Chancellor in place who holds a friendly relationship with the Federation, it can be expected that the Klingon Empire will continue its alliance with the Federation. 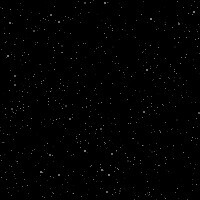 However, the Empire is a splintered power, and at times the High Council can barely keep the various ruling Houses, each of which have their own warships, under their command. 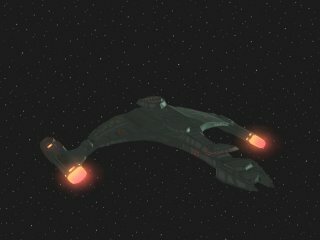 Below are the current ships of the Klingon Empire. Probably the most well known vessel. 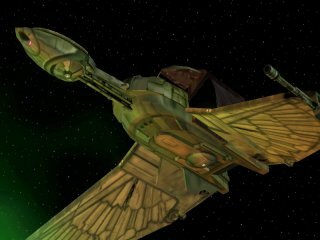 The Klingon Bird OF Prey, actually B'Rel class has been in service for well over 100 years. It is a very fast and maneuverable vessel, and is also equiped with a cloaking device. Its armaments include 2 disruptor cannons and 1 forward torpedo tube. The K'Vort Class is a B'Rel class variant, much bigger in size. It is more powerfull and carries 1500+ crew. It is armed with 4 disruptor cannons and 2 disruptor tubes. As like all Klingon ships, these ships are equiped with a cloak. The Vorcha class Klingon attack cruiser. It is a relativly new design and was heavily used in the Dominion War. It is comperable in size to the Akira Class vessel. It is equiped with a cloaking device and possesses 8 disruptor cannons, 1 large forward disruptor and 3 torpedo launchers. 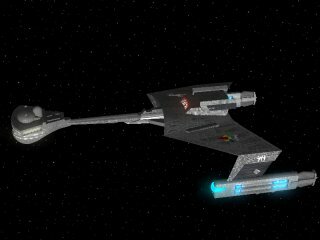 The K'Tinga class is a very old design, but has served the Empire well. It was used in the Dominion War but because of its age and obsolete weapons it did not do particularly well, especialy on there own. It has a cloaking device and is armed with 6 disruptors and 2 torpedo launchers. 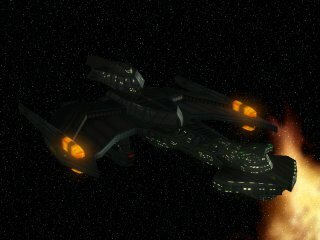 The NeghVar class, the flagship of the Klingon Defence Fleet. Used in the Dominion war this is one of the most heavily armed ships known. It possesses a cloaking device aswell as 20 disruptor cannons, a large forward disruptor and 4 torpedo launchers. Its crew compliment is 2500.